Get the hip vibe in your streamers and party accents. 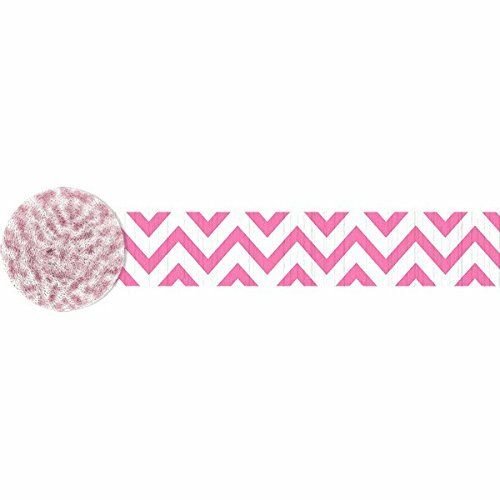 Prints are popular, and so are we when we party with Chevron Stripes Printed Crepe in Bright Posh Pink and White! Great for streamers, centerpieces, and other craft ideas. Roll is 81" long when unfurled. Width is 1 3/4". Package includes 1 roll of printed crepe paper.